The world premiere of Heiner Goebbels’ epic Everything that happened and would happen (10–21 October) opens this evening Wed 10 October. A performance which incorporates live music, sound, movement and film to explore European history since the outbreak of World War I. 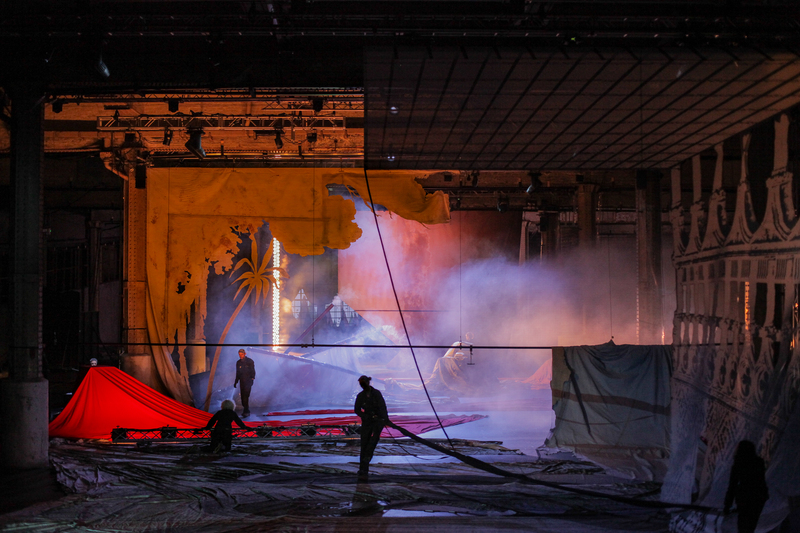 This indescribable new work takes place in Mayfield, an atmospheric former railway depot near Piccadilly Station aimed at surprising the audience as much as Heiner himself through extraordinary visuals and sounds. The Guardian‘s Kate Connolly spoke to artist and composer Heiner Goebbels about what audiences can expect from Everything that happened and would happen. He is famous for overloading the stage with vivid, unsettling images – and his monumental new show aims to encompass an entire century. Why are audiences being told to wear sturdy shoes? Everything that happened and would happen runs from 10-21 October at Mayfield, Manchester. Book your tickets now.